Deeter Electronics designs, manufactures and sells a range of hazardous area products with ATEX and IECEx certification, including float switches, liquid level sensors and load cells. We can offer products with Ex d Explosion Proof approvals for use in hazardous areas without the need for an intrinsic safety barrier. The Deeter Electronics hazardous area range also includes products which are suitable for use in Intrinsically Safe Systems with the use of a safety barrier. 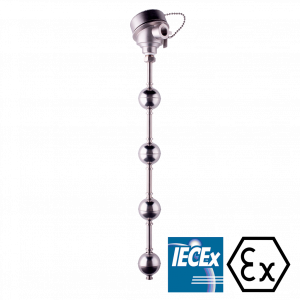 ATEX and IECEx Ex d Approved Explosion Proof Vertical Float Switch – a vertical magnetic float switch for control and indication of a liquid level while in a potentially explosive atmosphere. 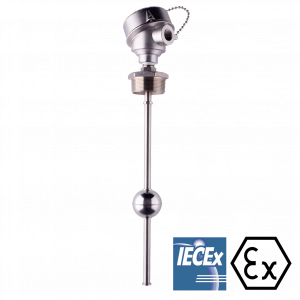 ATEX and IECEx Ex d Approved Explosion Proof Continuous Vertical Liquid Level Sensor – a magnetic float on a reed switch or Hall Effect sensor stem for control and indication of a liquid level while in a potentially explosive atmosphere. 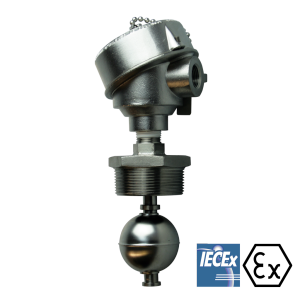 ATEX and IECEx Ex d Approved Explosion Proof Horizontal Float Switch – a horizontally mounting magnetic float switch for control and indication of a liquid level whilst in a potentially explosive atmosphere. Hazardous Area Float Switch for Intrinsically Safe Systems. 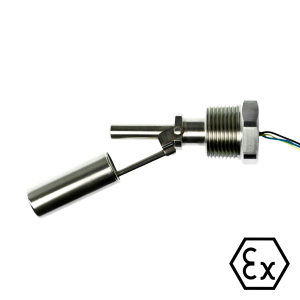 A horizontal magnetic float switch for control and indication of a liquid level whilst in a potentially explosive atmosphere. 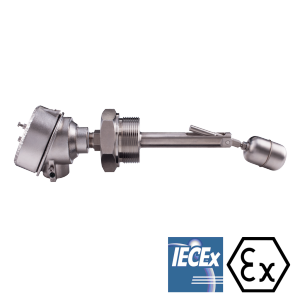 Manufactured in 316L Stainless Steel, it is a horizontally mounted Liquid Level Sensor ideally suited to high temperature or pressure operation.